Ohio Governor John Kasich's website was hacked Sunday, displaying what appeared to be pro-ISIS propaganda. "You will be held accountable Trump," text on the landing page said, "you and all your people for every drop of blood flowing in Muslim countries." A group calling itself Team System DZ, apparently hacked numerous state websites, including first lady Karen Kasich's website and the Ohio Department of Rehabilitation and Corrections website. Those pages displayed the same message that Kasich's did. In addition to the pro-ISIS language, a line appeared on each page that said "Hacked by Team System DZ." 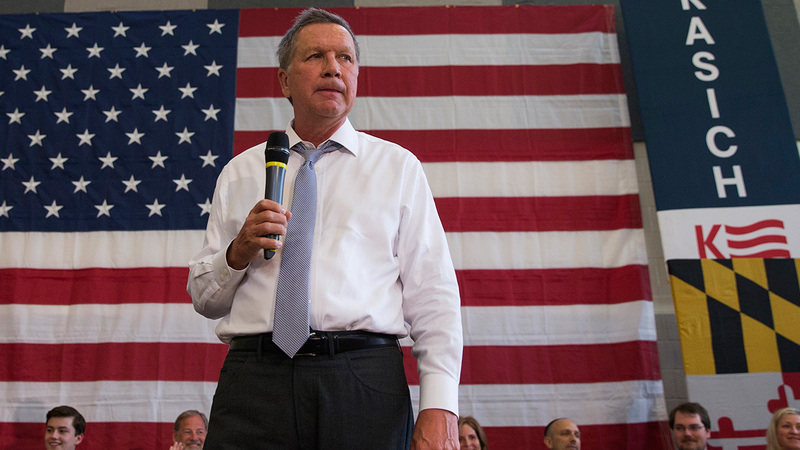 Kasich's staff said Sunday that they were aware of the hack and working to resolve the issue. They'd been working on the hack on the Department of Rehabilitation and Corrections website when they were alerted to their own hack. State Treasurer Josh Mandel posted about the Department of Rehabilitation and Corrections website on his Facebook. "Wake up freedom-loving Americans," he said. "Radical Islam infiltrating the heartland." The FBI's Ohio field office would neither confirm nor deny whether Team System DZ was a known entity to them.